Settled in 1635, prosperous and densely-populated Dedham is among the oldest towns in the Northeast and the seat of Norfolk County, which is second only to Boston itself in terms of population. 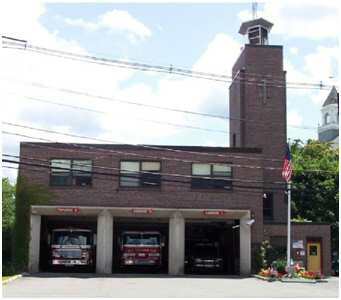 Dedham Fire Department has a long and storied tradition of professionalism and service. Now, with the implementation of Symposium’s Horizon EME, they`re enlisting 21st-century technology to help write a new chapter in community protection and public safety. Dedham invested a significant amount of time exploring how they could use new technologies to help them respond faster, safer, and more effectively. They wanted the ability to detect danger more quickly, to use information better, and to distribute situational intelligence more efficiently. And, like many other departments throughout Massachusetts and the Northeast, Dedham reached the conclusion that Symposium’s Horizon EME was just the system they needed to help them take operations to the next level. Dedham’s new Horizon EME dispatch solution integrates with Phase II 911, providing detailed and accurate positional info about the location of mobile callers – something that departments across the nation are racing to implement. Dedham’s new system also integrates fully with the department’s FIREHOUSE® Software RMS, meaning that each premise’s pre-fire plans, HAZMAT, contact info, and other information is available directly in the dispatch system. As the incident progresses, all the response-based information and benchmarks recorded in the EME automatically flow back to FIREHOUSE®, simplifying reporting and statistical analysis. Going forward, Dedham has the option to implement Symposium’s EM Mobile Data system, making all CAD and RMS-based info available in the trucks on a GPS-enabled map-based display that gives responding personnel instant access to all available incident information. Symposium’s success with other departments throughout the region combined with the solution’s proven performance were the keys to Dedham’s decision to adopt the EME. And going forward there’s added potential for the EME’s open-ended design to help enhance operations through integration with radio consoles, alarm monitoring receivers, CCTV, and other systems. Regardless of the shape and direction of future needs, Dedham fire can look forward to enjoying the same high levels of performance and support that other Symposium clients have come to expect and enjoy. The combination of top-notch technology and industry-leading service and support result in a solution that works on ALL levels, giving Dedham a powerful new resource that’s as easy to use and own as it is to implement.